Simon & Schuster, 9781451636017, 256pp. — Paul Bloom, Professor of Psychology and Cognitive Science, Yale University and author of "Just Babies: The Origins of Good and Evil"
— Joseph Goldstein, author of "Mindfulness: A Practical Guide to Awakening" and "One Dharma"
— Jerry Coyne, Professor of Biology at the University of Chicago and author of "Why Evolution is True"
"Sam Harris ranks as my favorite skeptic, bar none. In Waking Up he gives us a clear-headed, no-holds-barred look at the spiritual supermarket, calling out what amounts to junk food and showing us where real nutrition can be found. Anyone who realizes the value of a spiritual life will find much to savor here – and those who see no value in it will find much to reflect on." "Sam Harris has written a beautifully rational book about spiritually, consciousness and transcendence. He is the high priest of spirituality without religion. I recommend this book regardless of your belief system. 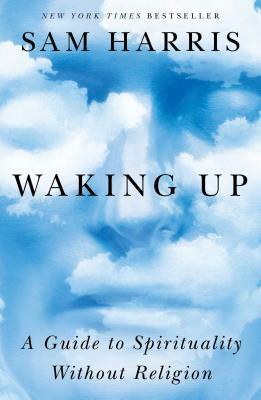 As befits a book called Waking Up, it’s an eye opener." “A lively, provocative, and timely new look at one of the deepest problems in the world of ideas. Harris makes a powerful case for a morality that is based on human flourishing and thoroughly enmeshed with science and rationality. It is a tremendously appealing vision, and one that no thinking person can afford to ignore.” —Steven Pinker, Harvard College Professor of Psychology, Harvard University, and author of How the Mind Works and The Blank Slate.